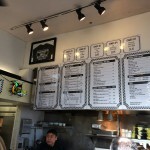 On a recent road trip to LA, we decided to take the longer scenic route along US 101 and stop in Santa Barbara for lunch. 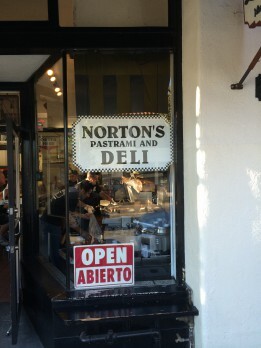 Norton’s Pastrami and Deli came up in our internet search of good lunch places to try and we decided to go to the original downtown location (there are now 2 in Santa Barbara). 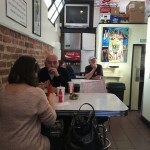 The restaurant is fairly small with a counter and kitchen on the right and 4 small tables on the left. It can be tough to get a seat during busy times, so most people will order their sandwiches to go and find a spot outside. 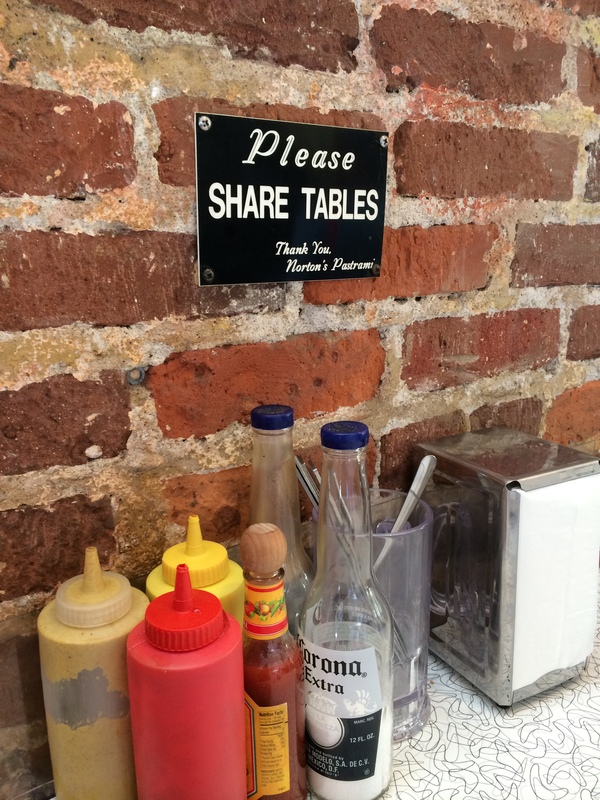 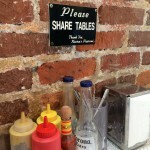 People are also encouraged to share tables. 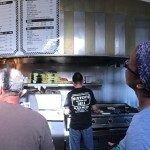 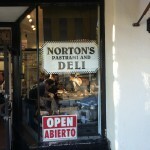 As the name suggests, Norton’s makes its own pastrami and offers a variety of pastrami based sandwiches. 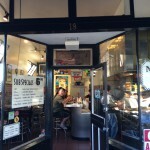 Other options include Philly Cheesesteaks, melts (tuna and cheese), cold sub sandwiches, and hot dogs. 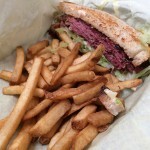 Sides includes chips, fries and onion rings. 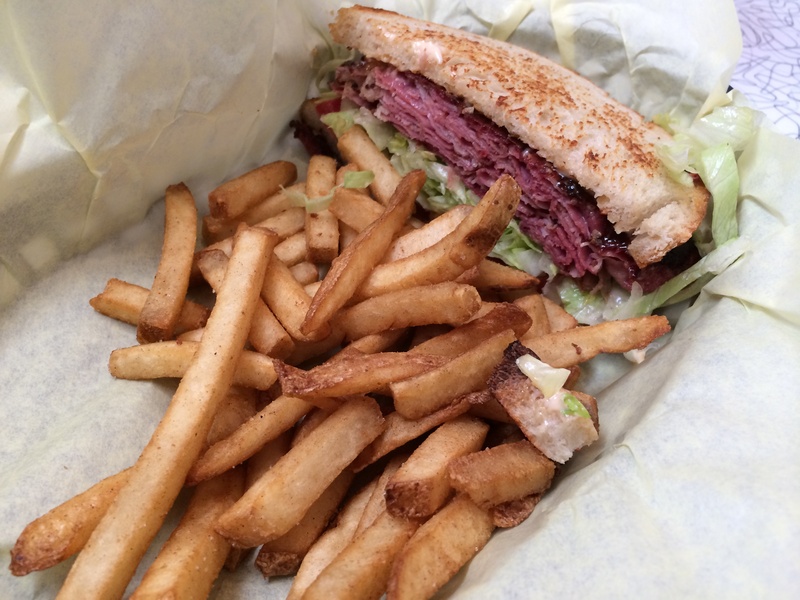 You can order whole or half sandwiches as well. 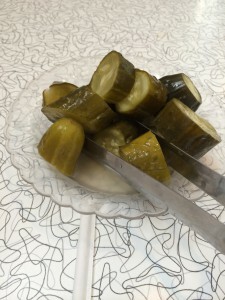 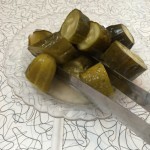 For dine in orders, the staff brings a small plate of housemade pickles to your table. Something nice to munch on while you wait for your sandwich or with your sandwich. 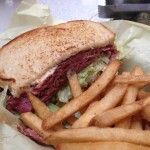 We decided to order the PLT, which contained a nice amount of their signature pastrami, thin cut, and piled between two slices of toasted sourdough with chipotle aioli The pastrami has a nice cured flavor without being overly salty or weighted down with nitrite, and developed a nice crisp texture after being put on the griddle before serving. If you are a fan of pastrami and hot deli sandwiches and are in Santa Barbara area, Norton’s is worth a stop.